Organic farming is an agricultural system based on the use of the farm’s own renewable resources and methods that are sustainable and respectful of the animals and the environment in which they are reared. The use of synthetic chemical substances (chemical fertilisers, herbicides etc.) and genetically modified organisms is not permitted. 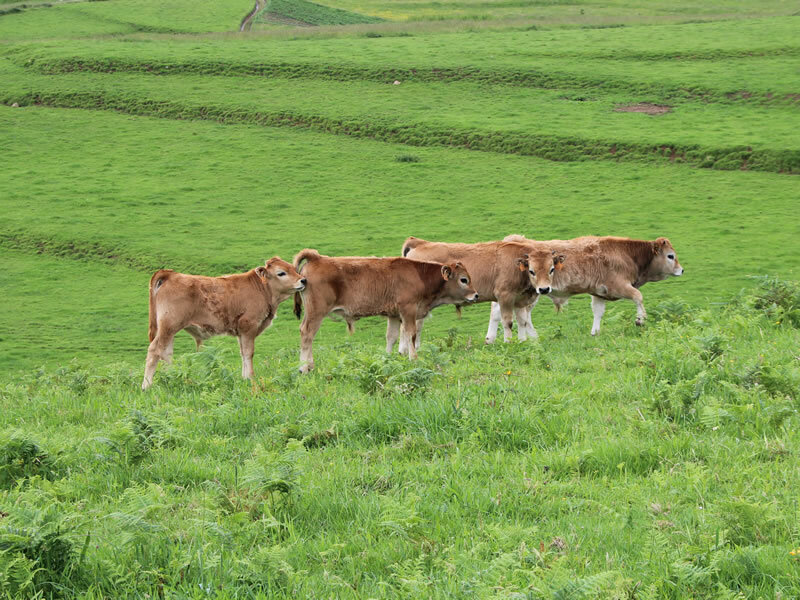 In organic livestock farming, the well-being of the animals is respected, without forcing their natural cycles and providing them with suitable accommodation and access to pastures. The animals feed on natural pastures, fodder and organic feed, obtained primarily from the farm itself. Health is based on preventing illness by selecting breeds that are suited to the area, good management and appropriate feeding practices. The aim of this kind of production is to obtain top-quality and healthy food using sustainable methods that respect the environment and animal welfare, encouraging the preservation of genetic diversity by rearing indigenous breeds of animal, one of which has been given endangered species status. COPAE (Consejo de la Producción Agraria Ecológica del Principado de Asturias) is the control authority for organic production in the Principality of Asturias. During the animal’s first 6 months of life, feeding consists entirely of maternal milk and pasture. After weaning the calves feed themselves by grazing on the grass of the meadows near the sea, and finally, two or three months before slaughter, their diet is complemented with organic cereals and leguminous plants, as well as hay from the meadow, until they are fattened to a minimum level that gives the meat the tenderness and flavour that the breed is renowned for. 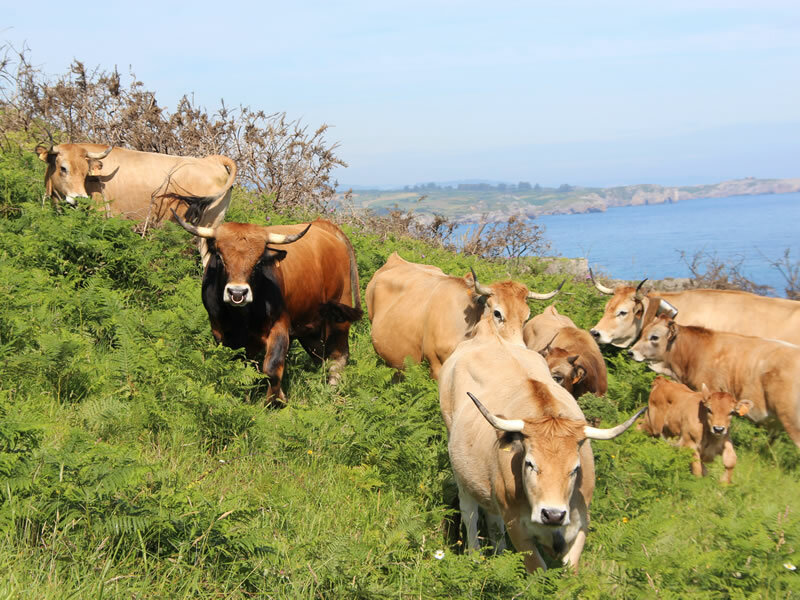 Guaranteed from the birth of the animal until it reaches the customer by means of strict monitoring by the COPAE, PGI (Protected Geographical Indication) and the Government of the Principality of Asturias. 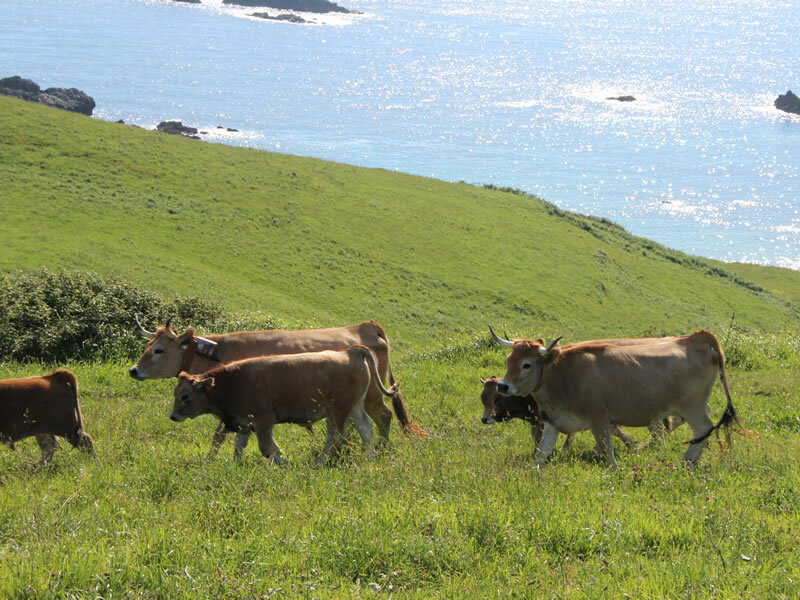 The Seals: Asturian Beef PGI, Organic Agriculture, the CE conformity system and COPAE.